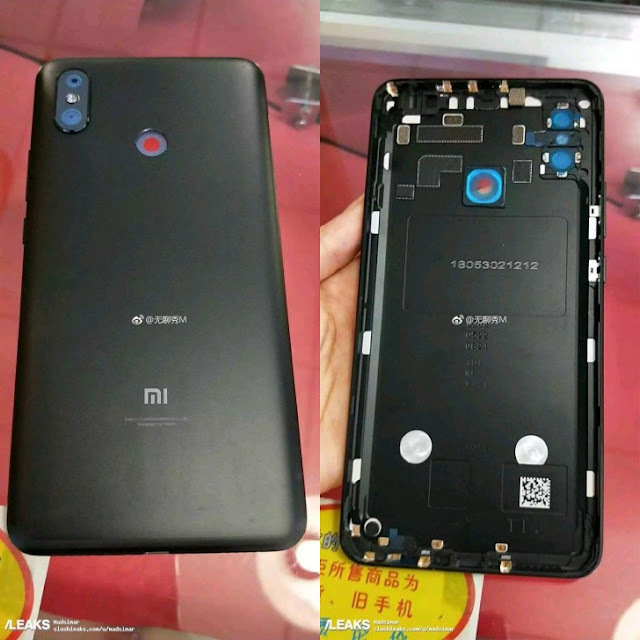 The release date of Xiaomi's phablet, the Mi Max 3 is rapidly approaching as evident by the CEO's teaser this week so we are naturally also seeing an increase in leaks. The latest one comes in the form of a live photo of the back panel. It confirms the previously rumored design with dual camera sensors on the back and rear-mounted fingerprint. There's also a second photo giving us a good look of how the device will look inside and hints at a humongous battery, as you can see from the cutout. Just like its predecessors, the battery capacity is expected to be the device's key feature. The initial reports suggest a 5,400 mAh capacity on the Pro version with Snapdragon 710 but the regular variant with Snapdragon 636 should carry the same cell. Both configurations, the Mi Max 3 and the Mi Max 3 Pro, should arrive together sometime this month.